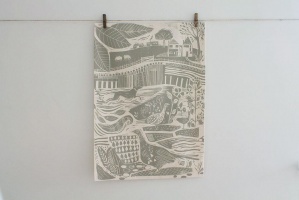 Beautiful quality, cotton tea towel featuring Through The Fields print by Sam Wilson Studio. Hemmed all four sides with a loop for hanging. 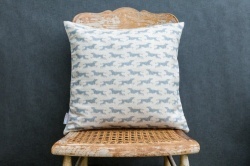 Approx measurements: 74cm x 48cm although sizes can vary very slightly.